This cake was absolutely beautiful. I cannot imagine the time it took to create. 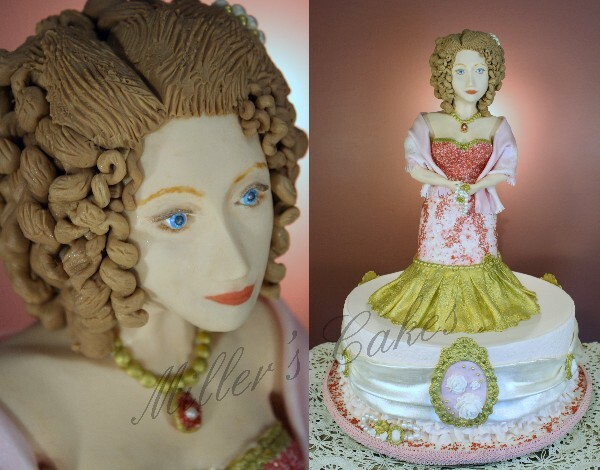 The details were amazing… Not only are her cakes beautiful but they are delicious and always a favorite treat at any party. …Lisa S.
… I’ll never forgot how amazed I was when I saw the cake. 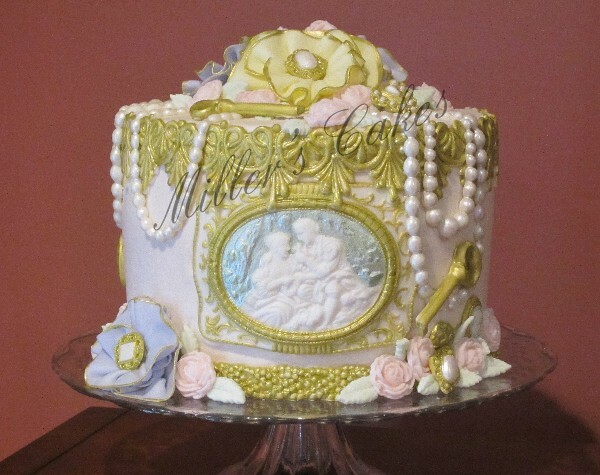 It was a beautifully ornate Victorian Vintage cake; everyone at the party could not get over how detailed it was. When my daughter told me it was Deb Miller’s handiwork I wasn’t at all surprised. Deb is one of the most creative & talented people I’ve ever met so I knew it was going to be a fabulous cake; I was right, everyone LOVED it!! It served not only as a delicious dessert, but also as an amazing centerpiece that will always be remembered. …Petra P.
Everyone raved over not only how fantastic the cake was, but also how beautiful it was. 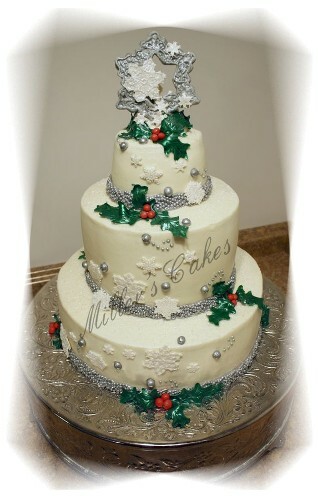 It was very detailed with holly berries, snowflakes and silver beads. 🙂 Couldn’t have asked for a better tasting or looking cake! Thanks Deb!